Across the globe, drones are being used to map how diseases spread, survey farmland and even deliver pizza. While American regulators have been slow to come up with a rulebook for the evolving industry, Canada has emerged as a leader in commercial drone use—from oil sands monitoring in Alberta to becoming the the testing ground for Amazon’s aerial delivery service. 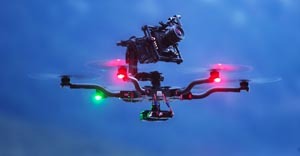 Bought a drone, and want to fly it legally, but have no idea where to do that? A new map created by drone hobbyists and enthusiasts aims to be an atlas, laying out the legal landscape for piloting unmanned vehicles. Called simply AirMap, the project is a collaboration between Ben Marcus, who created the NoFlyZone registry for people who don't want drones buzzing around their houses, and Gregory McNeal, a professor of law and public policy at Pepperdine. Available now in beta form, the AirMap takes user input and regulation changes into account, creating a durable map of which sections of sky are currently safe and legal for drones to fly in. 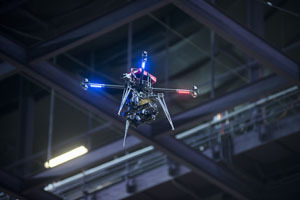 Motorcycle racing fans attending Friday’s EnduroCross race at Orleans Arena saw camera angles of a sporting event they’ve never seen before on their smartphones thanks to a Las Vegas-based company that produced images from a camera mounted on a drone that flew above the action. One of the biggest challenges in getting disaster aid to places like Nepal has always been how reach areas that have been cut off by destroyed roads or rubble. But now aid workers have a new tool to help: drones.